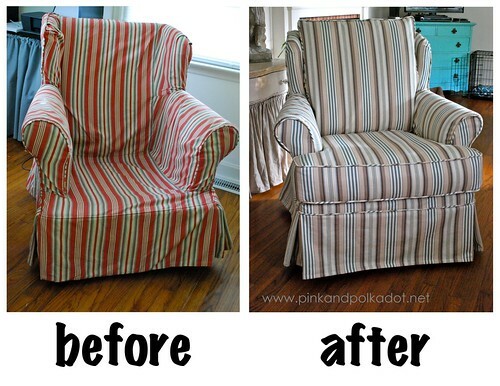 I just finished this striped armchair slipcover. I’m loving the way it turned out! Thanks for all your comments and all the sweet emails I received about this post. I didn’t realize how many of us are in the same boat. Love y’all and Happy Labor Day Weekend! I’m gonna go to a soccer tournament, see my mom & sis and eat the best fried fish a bro-in-law can fry…caught by none other than himself!